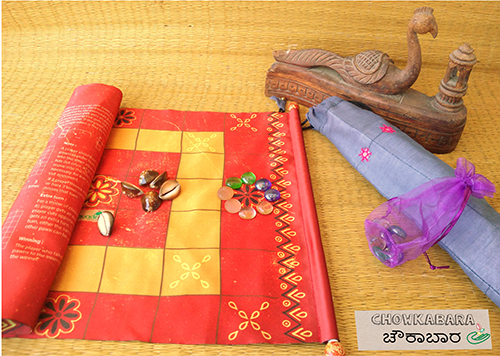 Logic, strategy, counting and enormous fun... there's a lot that a game of Chowkabara can bring to a group. 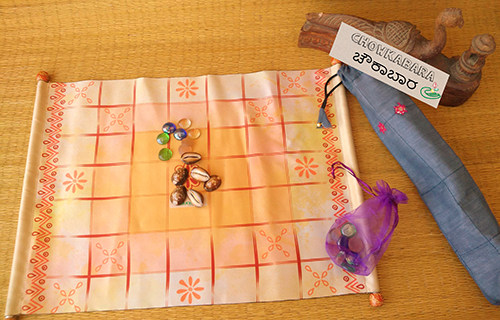 This set comes in the form of a fabric scroll, with 16 game peices and 6 cowrie shells. 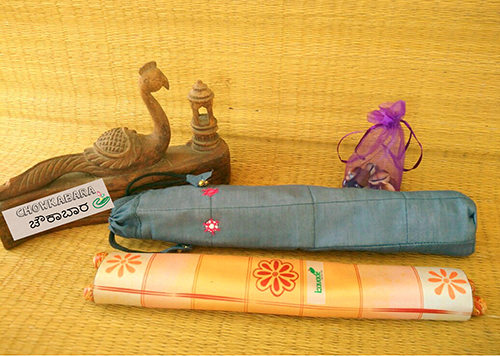 With the rules of the game printed on the back of the scroll, it is compact and travel-friendly.